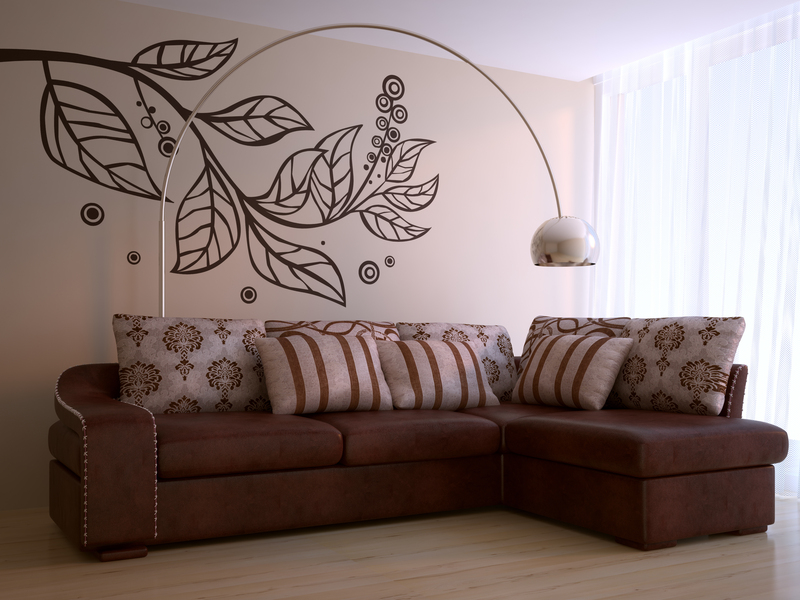 When you’re considering your printing options, you may not immediately think ‘wallpaper’. But as digital printing possibilities and technologies continue to expand, so should your creative vision. Custom wallpaper certainly makes a statement; whether you’re an artist or designer wanting to show off your work, or a business who wants to attract more customers. 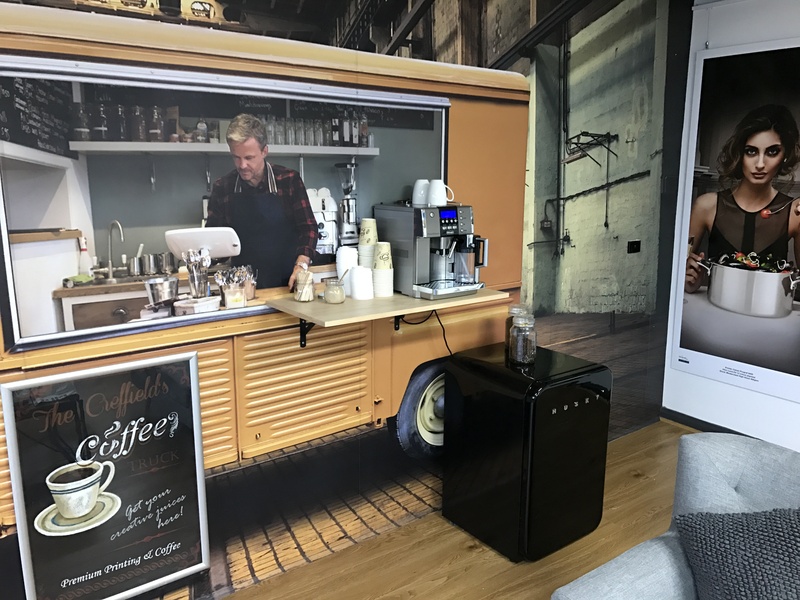 To see what’s possible with wallpaper, check out these four spaces Creffield Digital Print customers transformed by getting creative – achieving amazing outcomes. Looking for a background wall for their exhibit, one artist found Creffield through our free exhibition space and approached us for help. Like many customers though, wallpaper wasn’t their first idea – initially, they wanted paper prints to be blu-tacked to the wall. 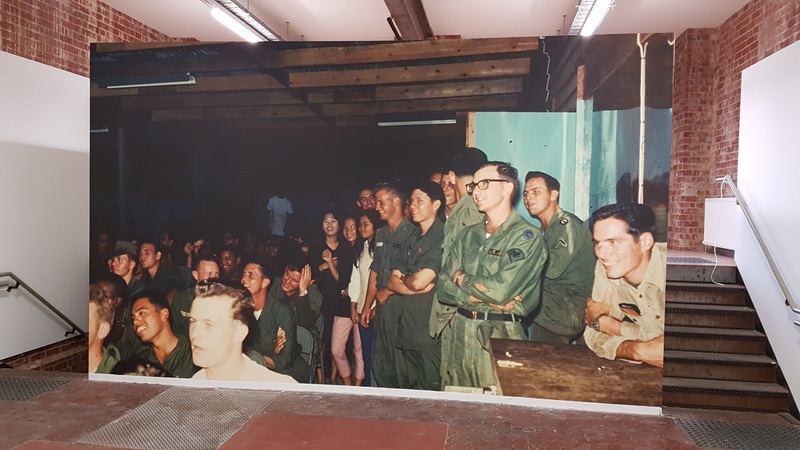 However, the requirements of the space they were using stated that any damage to the wall would have to be paid for – which really changed things. This request wasn’t only dictated by visuals, but practicality too. After consulting with Creffield’s digital printing experts, it was clear customer wallpaper was the best way forward. 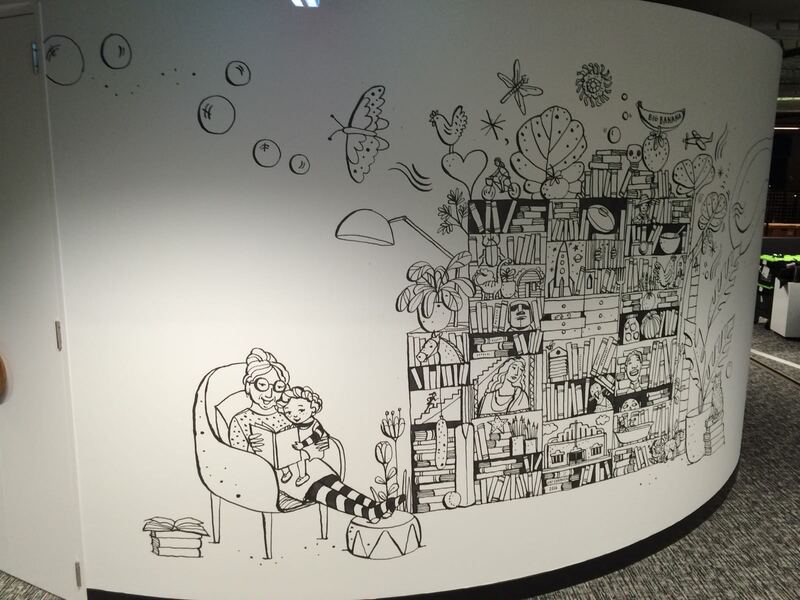 The design was printed onto panels that fit seamlessly together when applied to the wall and took just four days from the initial meeting to install, achieving a look the artist loved – proving that working with experts really pays off. When Bonier Publishing created a brand-new office, they wanted to include something a little different, that really reflected the essence of their business. For them, this meant permanent wall graphics that added personality and evoked inspiration in staff and visitors alike. They had a very clear vision of what the space should look like, so Creffield used knowledge of best digital printing processes to achieve the look – in this case, a combination of custom wallpaper and clear vinyl. What might seem like an extensive job took just six days to complete, leaving Bonier with a result they loved. It pays to follow your vision – customisation doesn’t take as long as you think. Sometimes print isn’t just about showing off a beautiful image, but serving a purpose. 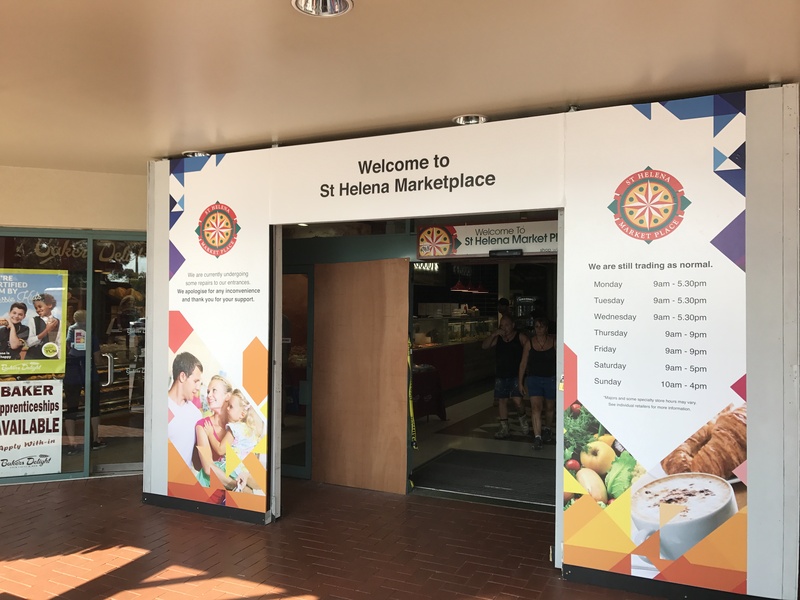 While renovating shopping centre entrances in one of their buildings, property management firm Jones Lang Lasalle knew important entrance signage and centre information would be obstructed. Display the information that was being blocked by the renovations. An existing customer of Creffield Digital Print, JLL approached us to provide a durable and high-quality printing solution to fit their needs – custom wallpaper was the clear choice. Within 4 days the design was created, printed and installed – not only looking good, but achieving the result that was required. You can often tell a product is good if those providing it use it themselves. At the Creffield showroom, we’ve utilised wallpaper to enhance our space and show our customers just what’s possible. Unfortunately, we don’t really have a coffee van in house – but you’d be forgiven for thinking otherwise. To really show off the capabilities and versatility of wallpaper, we created a concept wall with 3D elements to draw attention and wow everyone who comes by. The positive comments received are endless – it really can be easy to set a scene, evoke an emotion or create a vision that sticks in people’s heads just by thinking outside the box. Sometimes you just need a bit of inspiration to broaden your creativity. Custom wallpaper is a digital printing option that can be used in nearly every space for nearly any purpose, regardless of your individual requirements or desired results. If you’re considering custom wallpaper for your next project, it’s worth speaking to an expert about whether it’s the right choice for you. At Creffield Digital Print, we’re experts in high quality printing solutions and have delivered countless custom wallpaper orders to very happy customers across Melbourne and Geelong. To speak to one of our experts about your digital printing options, click here to contact us or to find your local store.